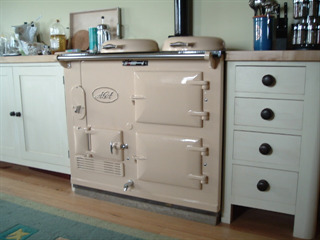 As opposed to purchasing a reconditioned Aga Cooker we can refurbish your existing Aga. This can only really be priced correctly with direct contact with myself and a possible site visit to be carried out, as there are many elements to this work which can alter the cost dramatically; i.e. changing the top and lids can have a dramatic effect on the look of the Aga and sometimes this is all that is needed to transform the Aga from looking old and worn out. The exchanging of the top and lids can usually be carried out with very little disruption. On the day we would arrive with replacements and carry out an immediate exchange and leave the Aga ready for use. Alternatively the Aga may need fully re-enamelling if a change of colour is required or the Aga is looking worn and chipped. 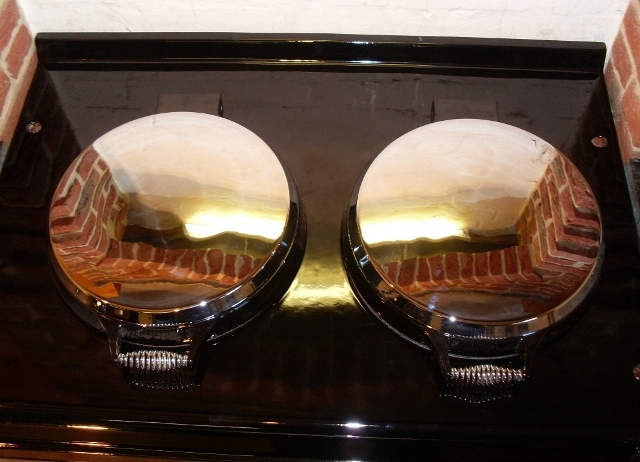 In some cases we can carry out a direct exchange, or if preferred the Aga can be dismantled and the front and lid enamel parts be shipped to our Enamellers. Towel rails or chrome domes ,if they become tarnished, can be replaced with new. Black vitreous pipe can also be exchanged.